Just doing my bit for the iPhone community of 100000 million* of you out there! If you spend approx half of your life untangling your ear phones…..then carry on reading; as I my friends, have discovered something genius!!! Click here to to see how it works. It’s super easy! I really do love it. It’s not too chunky, it’s light and super protective. 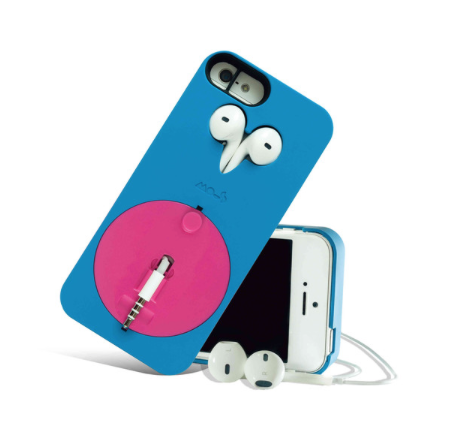 Sounds like the perfect partner, except it’s better… It’s an iPhone case. – Look after it, I got so cocky with it, I pulled the earphones out really hard and ripped the wire, luckily with my weird earphone obsession, I have thousands of spare iPhone earphones, so was easy to replace. My tip is; to just be gentle. Dont tug at it like your life depends on it, there’s no life jacket on the other end. I’m so eager to listen to things on my phone that occasionally I do act this way. – Lastly… Remember to plug the earphones in, so many times I’ve pull out the earphones and forgot to plug the aux cable in, I have then started listening to something out loud for everyone and their wife to hear!!! I actually bought this incredible life changing gadget from ASOS which came with a set of headphones, costing me £25 but you can purchase it from the Kick Start company website for £20 that comes without the headphones. Seriously if your into yours gadgets, your iPhone & your a silent phobe like me, come join the smug club and go buy one.